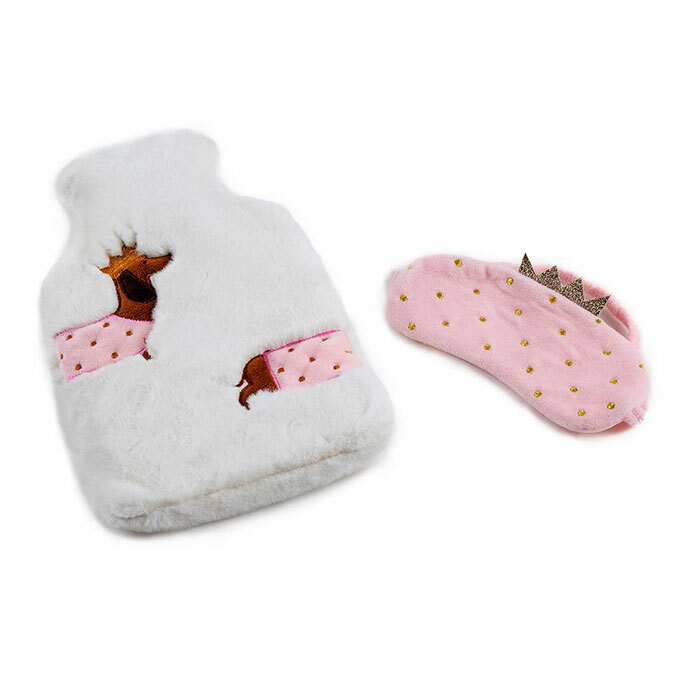 Our novelty hot water bottle and eye mask set, available in a range of styles and made with faux fur and 3D detailing. It's the perfect gift! Hot Water Bottle Cover - Machine washable at 30 degrees. Wash dark colours separately. Eyemask - Handwash only. This is not a toy - please use under adult supervision.